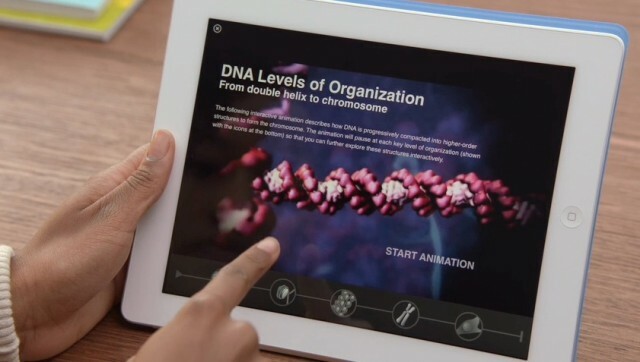 Apple has a new education page with the video that was shown today in New York City. The 6-minute clip starts off with a group of teachers talking about why they love what they do. Apple exec Eddy Cue then transitions into Apple’s approach to modernizing education. Roger Rosner, another Apple exec who was rumored to have been involved with the announcement this morning, also talks about how Apple thought about designing iBooks 2 as an interactive learning experience. Cue then explains iBooks Author for Mac. The last part of the video involves two interviews with publishing executives from Pearson and McGraw-Hill. The Superintendent of the Los Angeles Unified School District also talks about how Apple will have a pivotal role in shaping education. You can watch Apple’s education video on its website. There are several other pages for exploring iBooks 2, iBooks Author, and iTunes U.